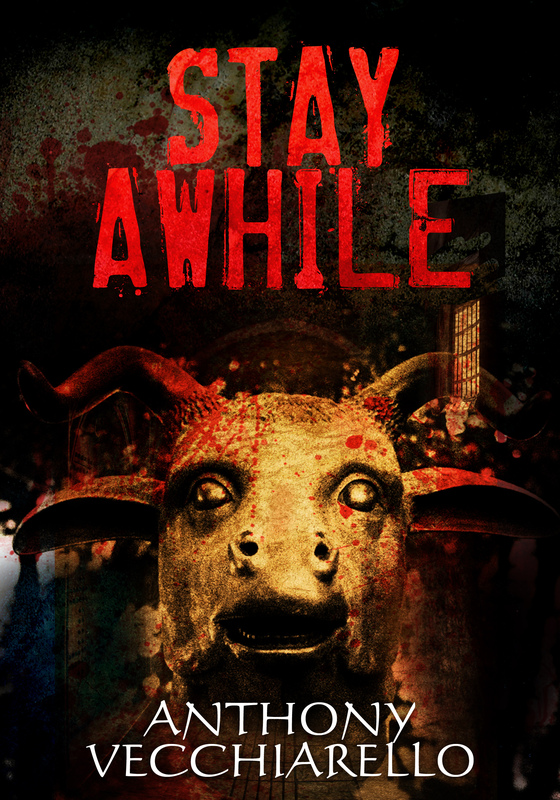 The thrilling atmospheric horror Stay Awhile is now selling on Amazon for 99 pennies. Go purchase it now. It’s the same cost of getting a box of candy at a dollar store. I’d rather be indulging myself in an immersive horror story than buying a plastic cup that will probably last a week. Stay Awhile received a 5 star rating from accomplished Author Joseph DiBartolo, known for his The Rise of Peter Troy zombie short story series. Here is, Stay Awhile. DBartolo’s review on Stay Awhile. Those who haven’t heard what Stay Awhile is about, here is the synopsis. Check out Author Anthony Vecchiarello’s Amazon page – amazon.com/Anthony-Vecchiarello. Check out Joseph DiBartolo’s Rise of Peter Troy: The Decayed Ones and The Rise of Peter Troy Vol.2 The Black Road which were both Number 1 on the Top 100 Free Kindle Amazon spot several times. A few months ago, Anthony submitted Stay Awhile to the Writing and Film Festival in Toronto, CA called WILDsound. The story won in the contest and was read aloud by Canadian voice actor Steve Rizzo, watch the video act below from Chapter 6 and click the link here to read about the author, WILDsound Festival Review – Stay Awhile Chapter 6 Reading. Stay Awhile was submitted by Anthony Vecchiarello for WILDsound to make a video pitch logline on YouTube. A female voice actress narrated. Here is the link to the page – WILDsound Festival Review – Stay Awhile Video Pitch. Lastly, Stay Awhile‘s written logline page can be found here, WILDsound Festival – Stay Awhile Logline. The 99 cent offer runs from today August 5, 2015 until August 12, 2015 at 12:00 am. TELL EVERYONE ABOUT THIS BOOK!!! WARNING: This book isn’t for the faint of heart. May give you frightening nightmares. The good kind I always say. A relative told the author’s father that he was too afraid to finish the book. There are plans for a sequel to Stay Awhile in the works. Check out Anthony Vecchiarello’s other Social Media. This E-book can either be purchased for 99 cents or FREE if you’re a Kindle Unlimited member. Get immersed in the story with this video. Have fun, enjoy the read, get scared, tell your friends and family about it and then stay tuned for the sequel and other stories to come from Anthony Vecchiarello. Buy it on Amazon now for 99 cents – www.amazon.com/Stay-Awhile.